Serbians are the largest national group in the former Yugoslavia (now known as Serbia), centered on the capital Belgrade. They are a South Slavic people. Landlocked Serbia is bordered by Bosnia-Herzegovina, Bulgaria, Croatia, Hungary, Kosovo, Macedonia, Montenegro, and Romania. The Serbian population represents 100 unrelated, adult Serbians who were sampled in 2004 by the Institute of Forensic Medicine, Serbia, Department of Forensic Medicine and Criminology, Zagreg and Institute for Anthropological Research, Zagreb. The Serbian population represents 200 unrelated, adult Serbians who were sampled in 2007 by the Institute of Forensic Medicine, Serbia. 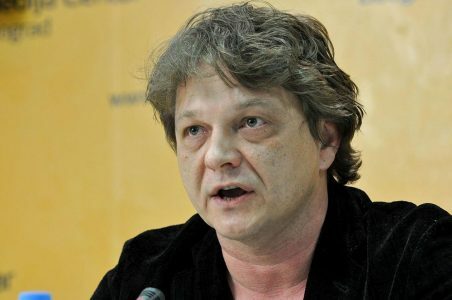 Photo: Dragan Bjelogrlić, Serbian actor, director, and producer. Photo by Medija centar Beograd. Source publication: Serbian Population Data (population 192 & 449) at the Allele frequencies of the fifteen STR loci in the population of Vojvodina Province, Serbia and Montenegro, Int J Legal Med, 2004, p184-186. Serbian Population Data (population 220) at the CODIS Core STR Loci, JFS, 2007, p1426-1427.